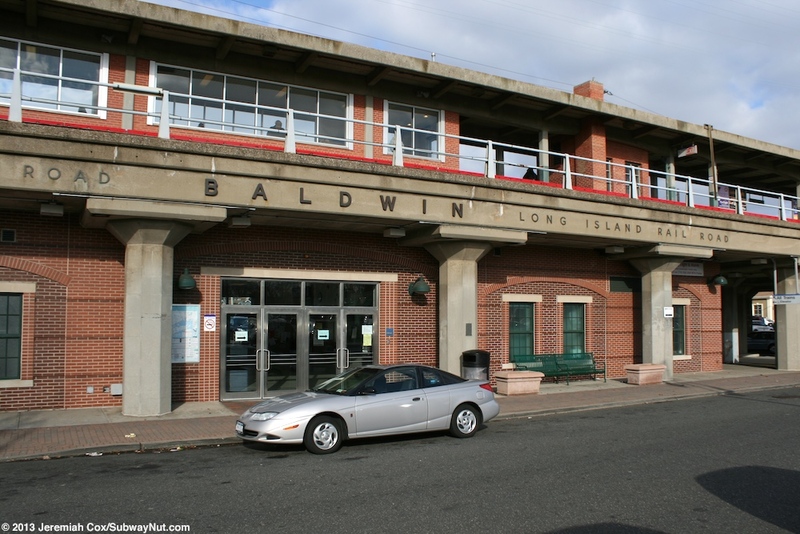 Baldwin is an elevated on octagonal concrete support beams LIRR station with a single 12-car island platform for the two track Montauk/Babylon Branch. 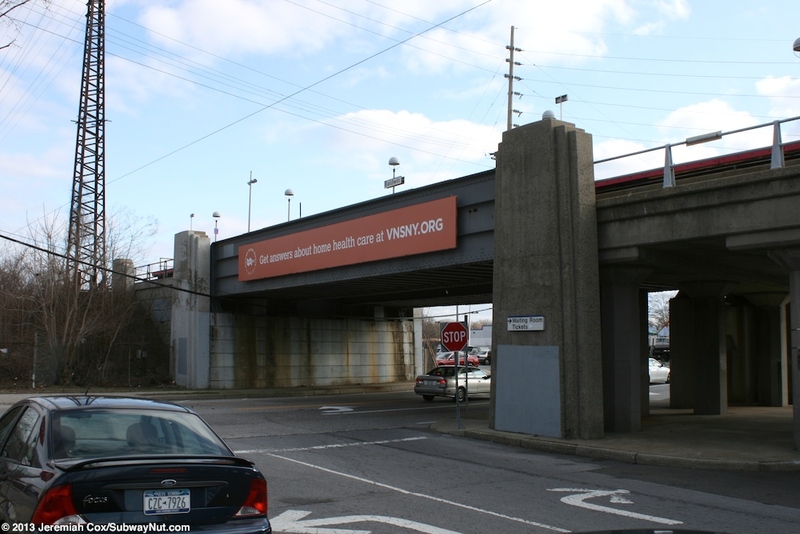 Directly at each end of the station the line transitions from elevated structure earth embankment with trees on each side. 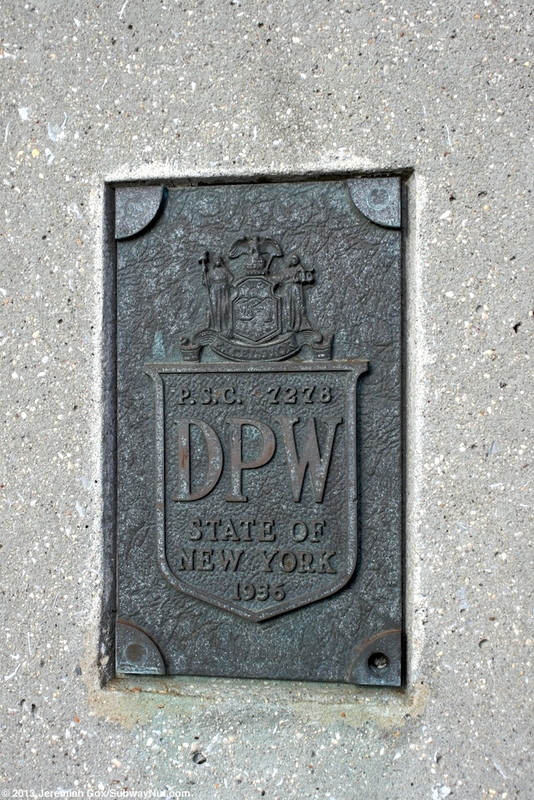 The current station was grade separated on October 2, 1957 after the project began with the opening of temporary tracks around the construction site on August 14, 1956. 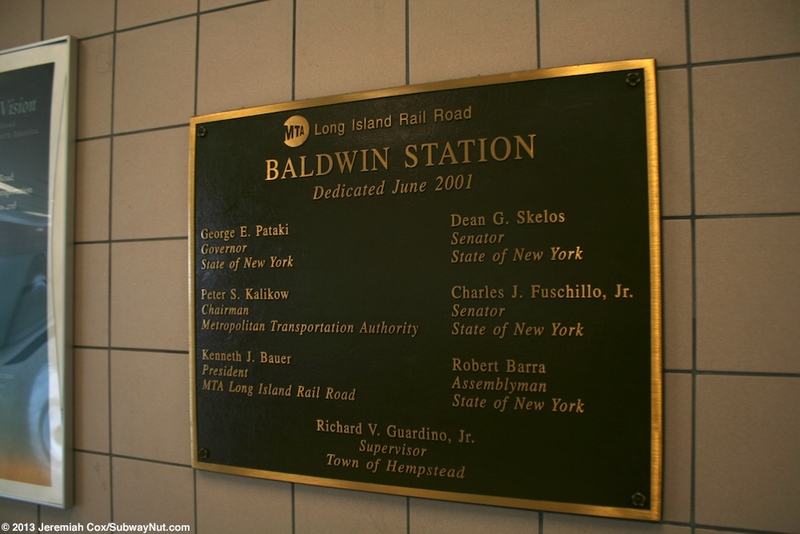 A plaque in the station house dedicates station renovations to June 2001. 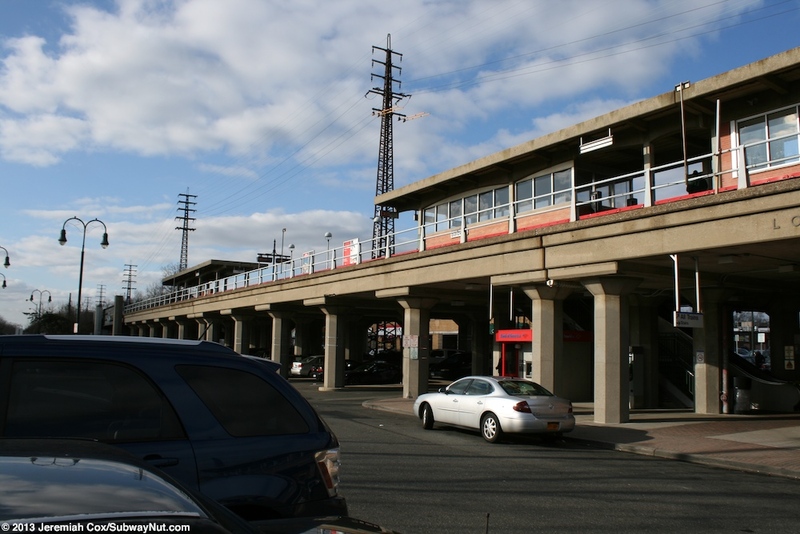 This station is just north of the Sunrise Highway and the platform runs from Grand Avenue at its eastern end to Millburn Avenue at its western end. 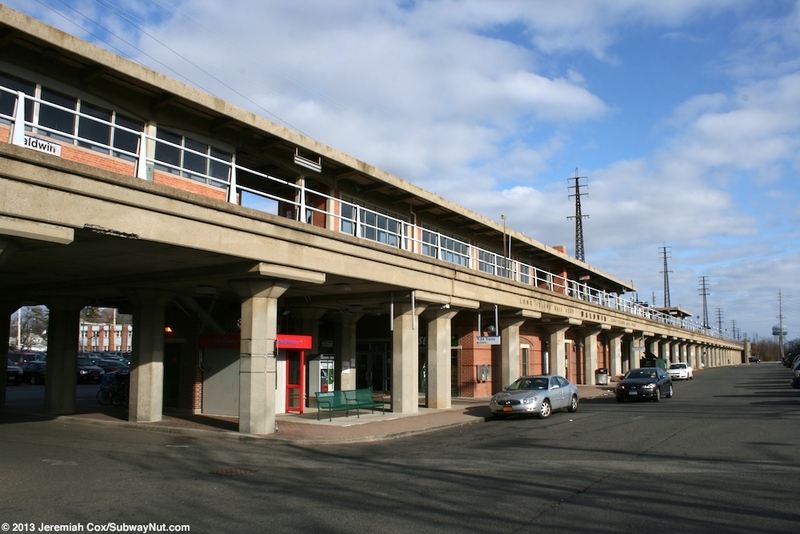 Brooklyn Avenue is the street north of the station. 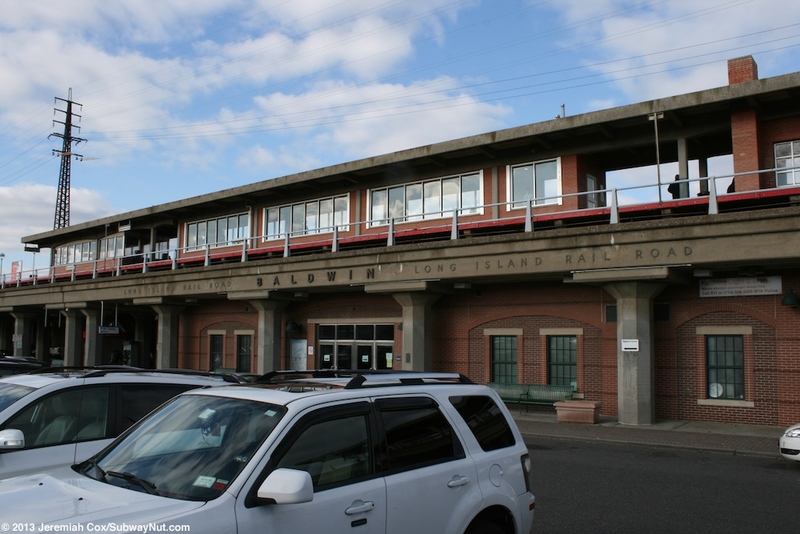 The station amenities are all towards the western end of the platform with nearly the entire eastern half left exposed to the elements (there is no direct access to Millburn Avenue). 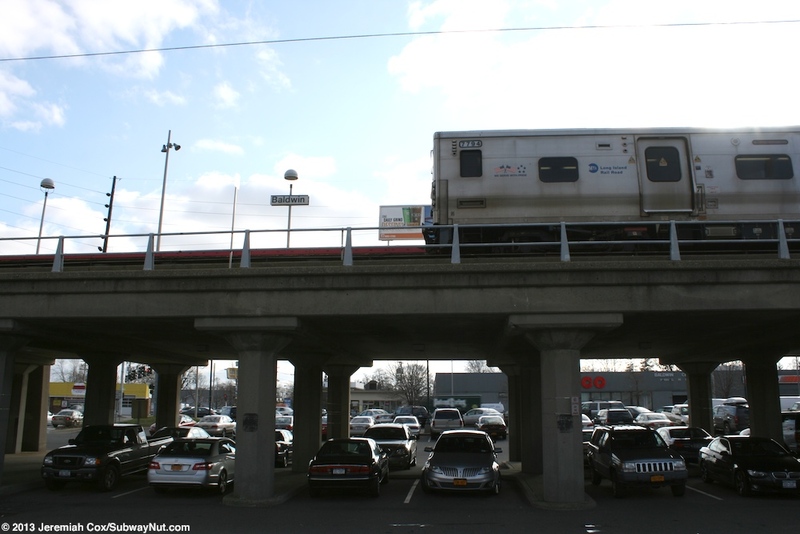 Parking is scattered in a long parking lot mainly between the station (and tracks on either side) and the Sunrise Highway plus some directly under the station and in a small lot north of the station. 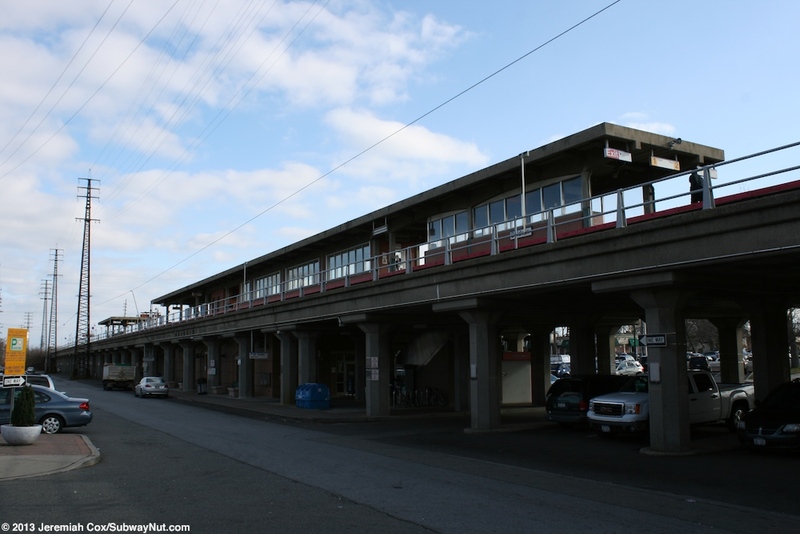 Beginning at the middle of the platform and running east is the main canopy structure. 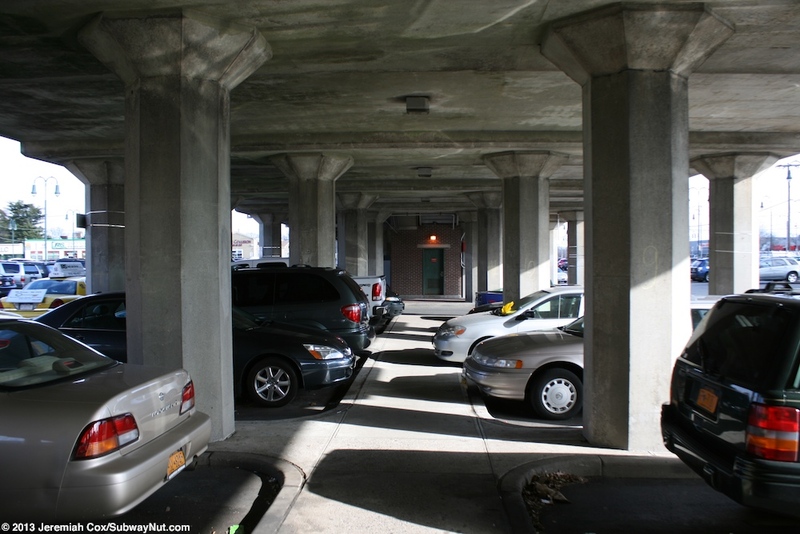 It consists of simply narrow concrete beams holding up a concrete canopy. 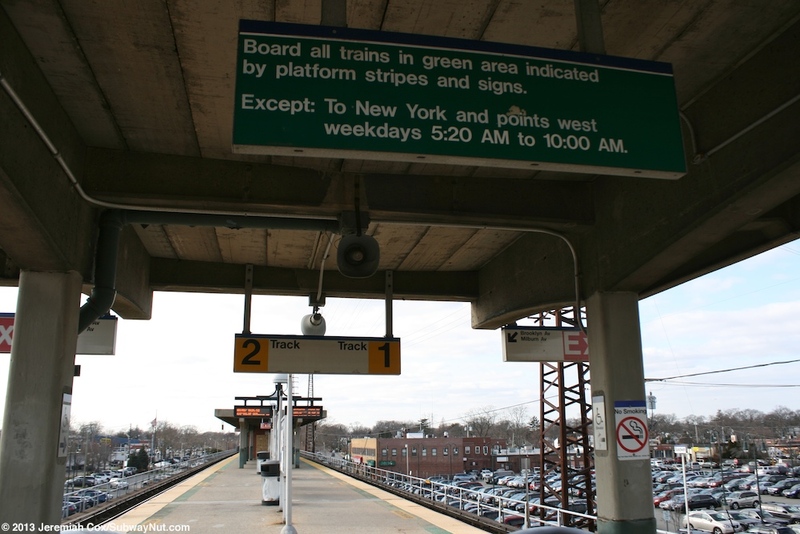 These beams run along each edge of the sides of the tracks and are painted green at their bases. 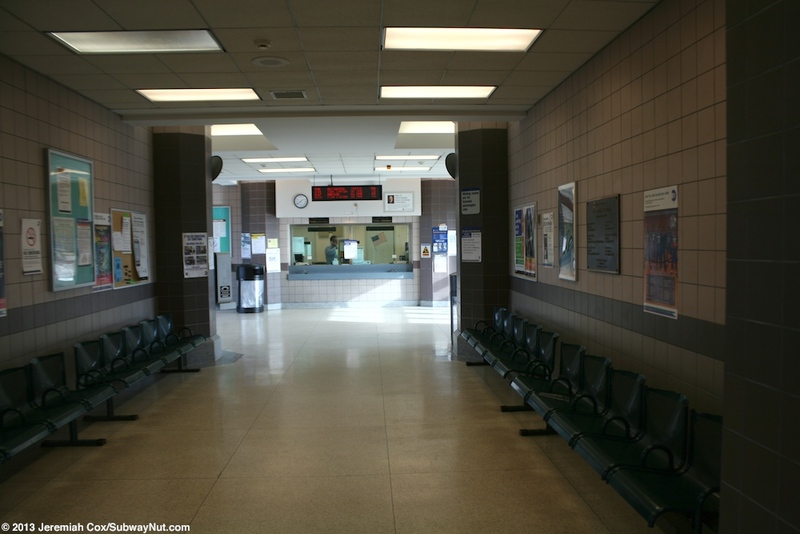 In the middle of this canopy is the on platform enclosed waiting area with brick walls and the normal blue tiling and slightly smelly interior. 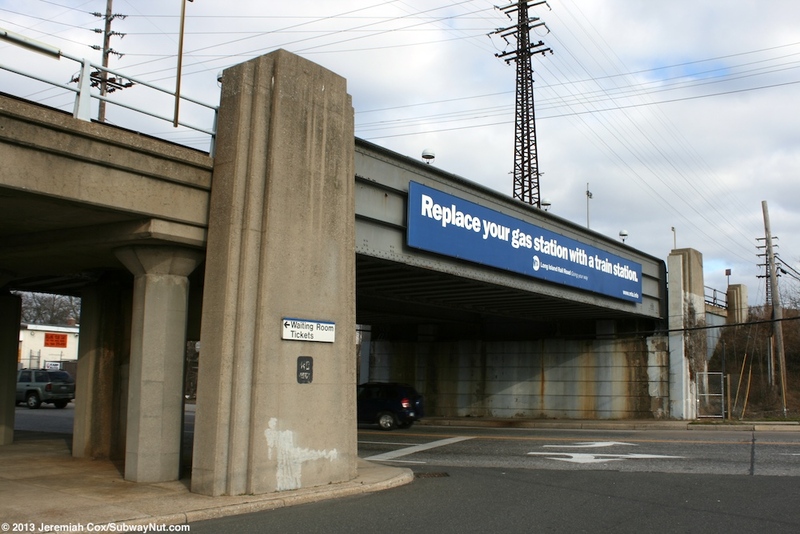 Beneath this at street level tucked beneath the tracks is the main station house/ticket office that also has brick walls. 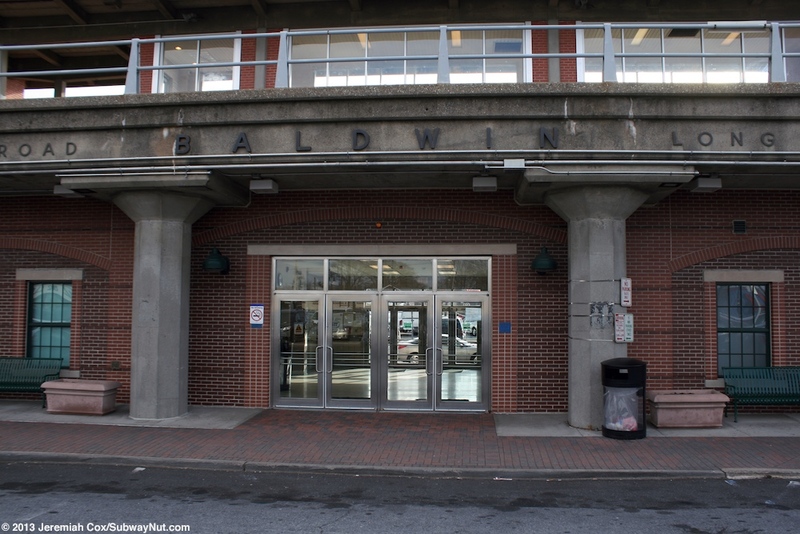 Small black lettering on the sides of the concrete that hold up the tracks say Baldwin above the entrances to the ticket office. Inside is a waiting room with simple seating and a ticket window open weekdays for one shift (5:10am to 2:45pm) according to MTA.info the station house still closes at 2:00pm and isn't part of the program to them open longer. 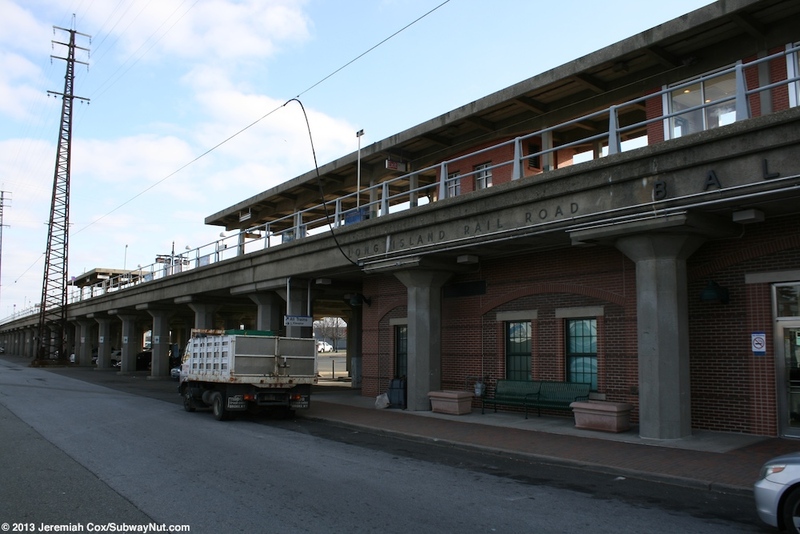 On the east side of the station house is the platform elevator that arrives at the platform clad in brick. 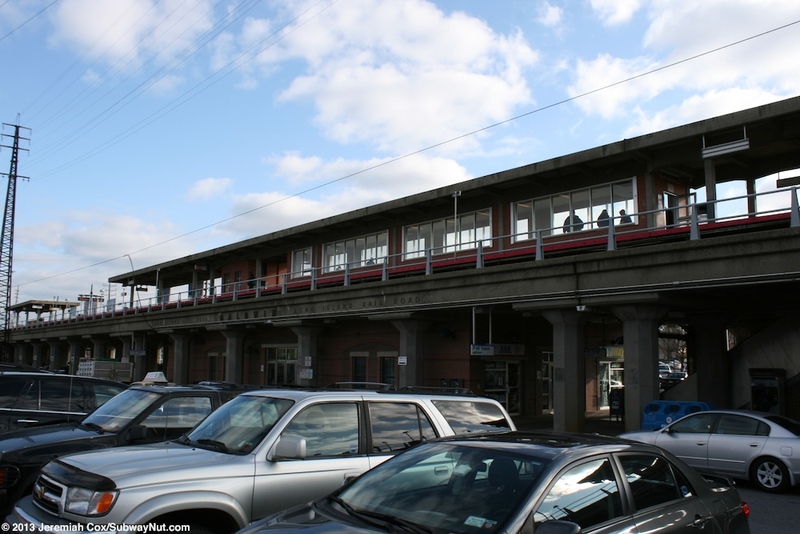 On the opposite western side of the station house beneath and shelter on the platform is the main combined staircase/narrow up escalator, it arrives platform that arrives in a brick. 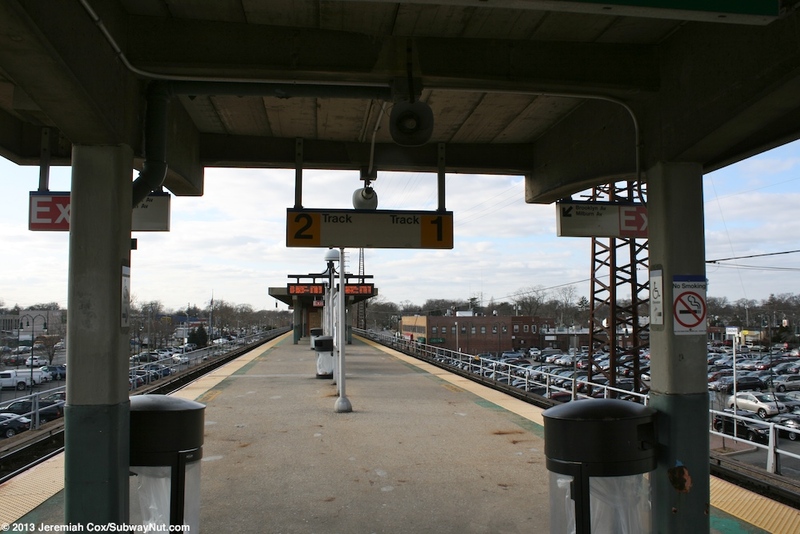 There are three more secondary platform staircases one is the easternmost one about a third of the way form the end of the platform. 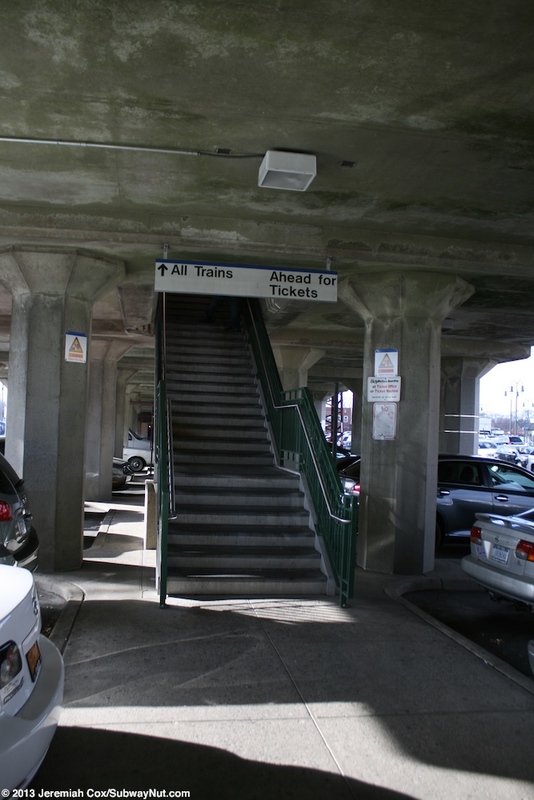 It is a simple staircase up to a small, additional section of platform canopy and is from Central Avenue/Miron Place (the streets are discontinues with the station and parked cars directly under the station causing this). 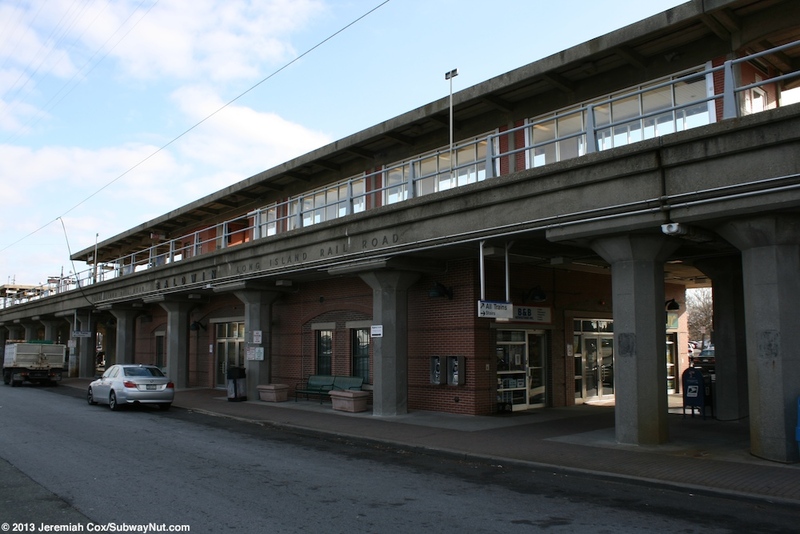 The final entrances are at the western end of the station. Here a staircase leads down to the eastern side of Grand Avenue. 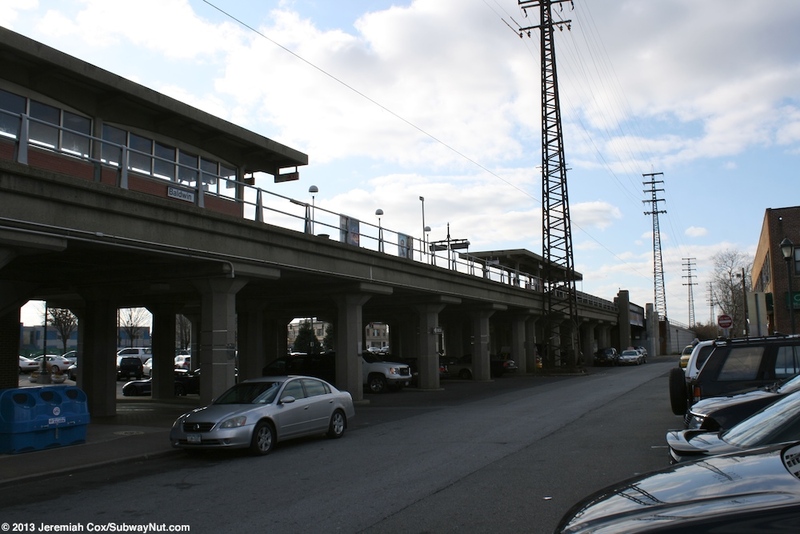 Another few steps lead down to track-level and become this odd covered walkway between high steel structural walls of the railway bridge crossing of Grand Avenue before leading down to a short tunnel through the embankment that the tracks have already transitioned to and a single entrance along the north side of the line along Brooklyn Avenue just west of Grand Avenue.